The iPad Mini is one of the hottest tablets on the market, but if you own one, the first thing you’ll probably want to do is buy a case. The aluminum design on the iPad Mini 3 and the iPad Mini 2 (Retina), looks great, but it’s slippery and fragile. The new iPad Mini 3 sees the addition of Touch ID, and updated internal hardware, but otherwise it’s identical to its predecessor. Both are a smidgen thicker than the original at 0.29 inches (7.5mm) compared to 0.28 inches (7.2mm). Updated on 7-7-2015 by Simon Hill: Removed discontinued cases, and updated copy, pricing, and links. Related: Our favorite iPad Mini accessories, Apple iPad Mini 3 review and apps. You’ll find that this case has been tested and delivers drop protection to military standards. There’s a strong shell with cut-outs for ports and button covers that can take the brunt of any impact. A very slim cover protects the screen and magnets within automatically wake your iPad Mini 3 when you open it, as well as holding it securely closed. You can fold the cover and find a variety of different landscape angles for viewing movies, or bend it the other way to get a comfortable typing position. The exterior is textured for added grip and it comes in a choice of five colors. 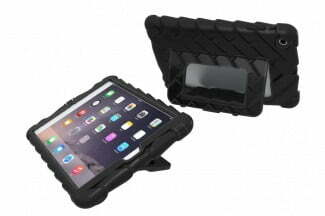 If you want something protective and practical for your iPad Mini 3 then look no further. 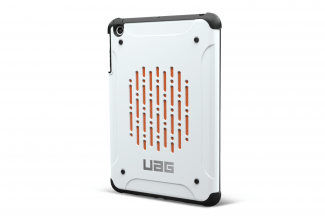 UAG’s cases are tough with an outer armor shell and an inner core that absorbs shock, but they’re a lot lighter than they look. There are handy pads to stop the tablet sliding when it placed on its back and the raised lip does the same at the front. You’ll find over-sized button covers to make things easy and precise openings that won’t interfere with operation. The eye catching vent design is easy to customize. Cases don’t get much more rugged than this. Gumdrop’s design is chunky and bold, combining a hard polycarbonate frame with tough, easy to grip, malleable silicone. There’s a screen cover integrated and openings for the ports and camera. On the back you’ll find a collapsible stand that can fold out and allow you to prop the iPad Mini 3 in landscape for viewing or angled for typing. There’s no need to panic when you drop your tablet with this case on it. Flexible and functional, this keyboard case from iGear comprises a hard polycarbonate shell with a full QWERTY keyboard inside that hooks up to your iPad Mini via Bluetooth. A clever hinge mechanism lets you set it up like a laptop, or you can flip and turn it to hide the keyboard or use it a stand. Every angle is protected and there are cut-outs for ports and buttons. Opening and closing automatically sleeps and wakes your iPad. The whole case has a nice matte, soft-touch finish. Forget about dust, drops, water, and shock. With this case on your iPad Mini nothing short of a direct missile strike is going to damage it. It’s a high quality piece of kit with an aluminum hinge and Dragontail glass to protect your camera lens, but it does need to be screwed together, which will work better if you’re happy to leave the iPad Mini in it. The difference between this and other heavy duty cases is the folio design, which allows you to flip it open to use your iPad. It’s quite expensive, but you do get some serious protection for your money. It comes in black, orange, or magenta, with gray. 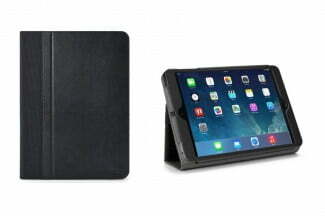 This genuine leather case from Apple will fit any iPad Mini model. It’s a slim protective shell with an aniline-dyed leather cover that can fold back to a couple of stand positions for movie watching or typing. The fit is absolutely perfect, as you’d expect, and the inside of the cover is soft microfiber to keep your iPad Mini screen in top condition. The cover also supports the automatic sleep/wake function. This isn’t a rugged case, so don’t expect much in the way of drop protection. It is slim and available in five stylish colors including red, black blue, brown, and pink. If you’re looking for a rugged solution then you’ll be pleased to learn that the Dux case meets military standards 810F/G for drop tests, which means it will survive a tumble from up to 6.6 feet (2 meters). It blends hard polycarbonate and malleable TPU with a water resistant polyurethane cover that folds back to double up as a stand. 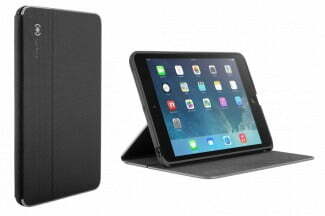 Magnets in the cover help it act as a stand securely and automatically bring your iPad Mini 3 to life when you open it. All the cut-outs are precise and the back of the case is transparent. It’s bulky, but that’s inevitable with truly protective cases. Here’s a smart, padded folio-style case that’s designed to serve as a business companion. 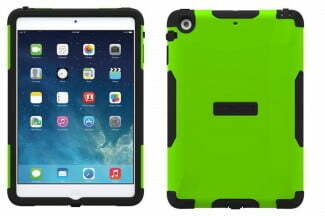 You can slot any model of iPad Mini into the enclosure and the case zips securely closed. The cover includes a host of pockets and pouches for ID, cards, a notepad, and there’s even a stylus holder. You can prop the cover open and fold it to create a stand for landscape viewing, or angle it further for comfortable typing. You don’t need to be a CEO to see the practicality of this case. 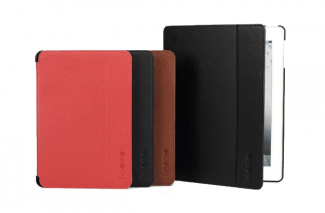 If you want a stylish leather case for your iPad Mini 3, then this luxurious option from Knomo could be it. This premium leather pouch, finished in black or tomato red, opens to reveal a range of soft canvas pockets lined with microfiber. There’s room for your tablet, accessories, iPhone, and even a battery pack. You’ll also find pouches for cards and a stylus or pen holder. 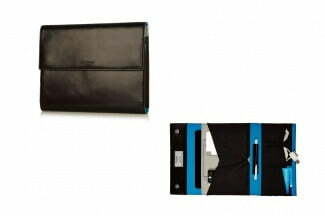 The organizer has a secure stud closure, so there’s no danger of it flapping open uninvited. This is a durable folio case that combines a soft, minimalist, silicone frame with a water-repellent cover. The suede lining prevents scratches and the silicone corners can lock the cover open in multiple positions, so you can find the right viewing angle. The closure is magnetic, and there are openings for the camera, ports, and buttons. It’s a slim, functional case that provides reasonable protection. You can get it in understated black and grey, or an eye-catching purple and orange combo. This sleek case is practical and stylish. 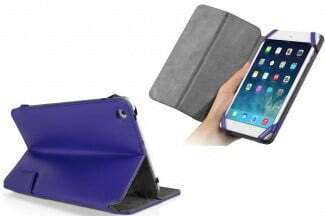 The polycarbonate shell fits the iPad Mini 2 (Retina) perfectly and the microfiber cover features Moshi’s origami-inspired folding design, so you can prop your tablet at various angles in either portrait or landscape view. The cover has magnets built-in, so your tablet automatically goes to sleep when you close it and springs to life when you open it. If you don’t like the blue pictured, you can opt for grey, green, or pink. It looks like a plush leather folio case for your iPad Mini 2, but the Notchbook takes its name from a really clever design feature, which allows you to slide your hand in and hold your tablet comfortably with one hand. There’s a microsuede lining, a padded leather exterior, unfettered access to ports and controls, and support for the auto sleep/wake function. 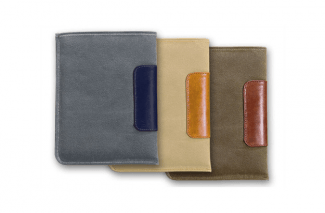 It’s an exceptionally comfortable case to use and the premium leather comes in a wide variety of colors. 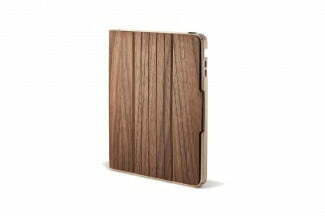 Anyone looking to personalize their iPad Mini 2 is going to love this folio case. There’s a standard hard shell with the necessary cut-outs and a cover with a microfiber lining and three folds to enable it to act as a landscape stand supporting two positions. The cover also has magnets for automatic sleep/wake. For the personal touch simply remove the back panel to reveal a clear window and place a photo of your choice in there. If you use your iPad Mini 2 outdoors or you’re just the accident-prone type, then you might consider a rugged case like this one from Trident. A combination of polycarbonate and silicone offers good drop protection, there’s a screen protector supplied, and this case makes the tablet a lot easier to grip. Trident cases are tough, we’re talking military standards for vibration and drops, covers for ports and controls, and dust filters. You can pick one up in a variety of colors. 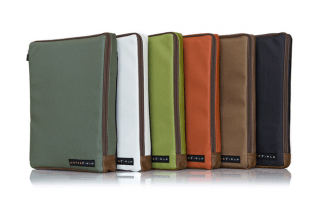 This folio case combines a rubberized cradle that holds your iPad Mini 2 snugly, with a black canvas outer covering featuring eye-catching soft leather-style polyurethane lining in orange. The cut-outs are precise, so you can access controls and ports. It’s a comfortable case to carry and the cover can fold back to support the landscape angle you want. The closure is magnetic, so it supports the automatic sleep/wake function too. Not bad at all at this price point. 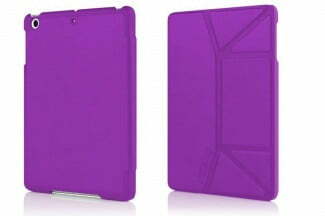 Here’s a smart design that combines a solid case with the full range of cut-outs with a removable folio cover. The lid supports the sleep/wake function and protects the screen, but if you don’t want to use it then just take it off. The case itself is TPU and offers good protection without blocking access to anything. The highlight is a rotating kickstand that can be pulled out the back. You can rotate it and adjust the angle however you like to prop the iPad Mini up. 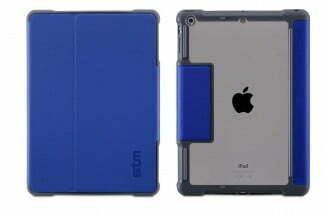 There are eight color options for this shell and they’re designed to match with your existing Smart Cover from Apple. It’s a hard plastic shell that snaps into place, leaving room for that lid. All the cut-outs you need are present and correct, and there are grilles to protect the speakers, and button covers for the sleep/wake and volume keys. As basic cases go, this is a good one, and if you’ve already got the smart cover and you want extra protection then it’s a no-brainer. 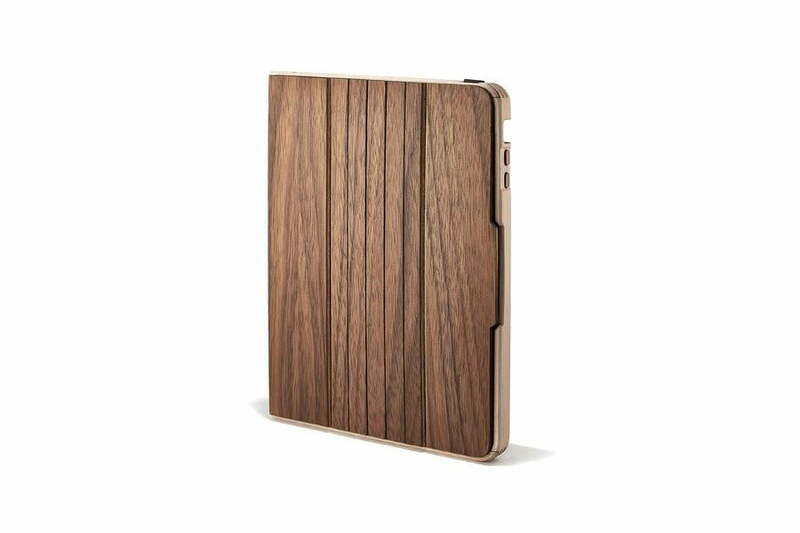 This natural iPad Mini case is absolutely gorgeous. It combines Orgeon Walnut and Eastern Hardrock Maple. The natural wood look is really unique, but it’s a functional choice too. You’ve got three stand positions to choose from, the cover supports the automatic sleep/wake function, and cut-outs ensure easy access to everything. Hand made with care by a small Portland-based team, this is a real standout option. It fits all three models of iPad Mini. 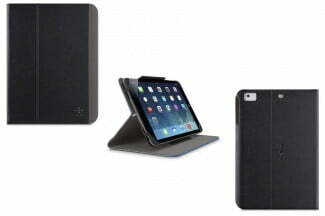 Here’s a tough case from Belkin that’s suitable for the iPad Mini 1 and 2. Thanks to a ridged design that creates pockets of air, this case can really absorb some shock; in fact, it passed military standards for drop tests from up to 6 feet. The exterior is rubberized for grip, and the automatic sleep/wake function is supported. 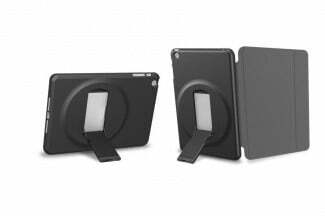 You can also use it as a stand in portrait or landscape view, with another magnet to hold your tablet in place. You can match Apple’s minimalist design aesthetic by opting for this classic, clean folio case from iLuv. 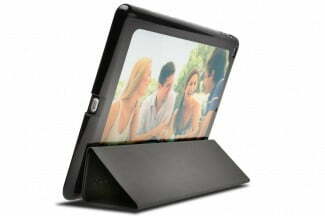 Fold the cover back and you’ve got a two position stand for typing or viewing movies. There’s a soft, patterned lining inside and the exterior is durable faux-leather. You can still access all the ports and buttons when your iPad Mini is in the case and it will fit either model. Take your pick of black or red. 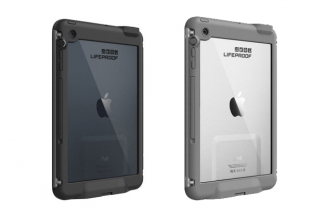 It’s quite bulky and it’s not especially pretty, but if you’re really serious about protecting your iPad Mini then the OtterBox Defender is the way to go. It boasts impact-resistant polycarbonate, foam padding, a screen protector, and a rugged silicone layer. This case also doubles up as stand for portrait or landscape view and there are even plug covers to prevent dust getting into the ports. 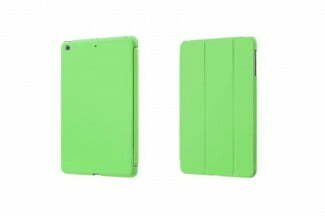 If the iPad Mini Retina is your gaming device of choice then this could be the ideal case for you. It’s durable, flexible, and it provides you with ergonomic side grips that make your tablet comfortable to hold for long gaming sessions. The textured ribs improve grip and the handles can also double up as a stand. It’s a thick, bulky case, but it doesn’t block access to any ports or features. You can get it in blue or pink. Combing vegan leather and a plextonium shell, this offering from Incipio is good value for money. It opens like a folio, and the cover features a popular origami design that allows you to fold it into various stand positions. 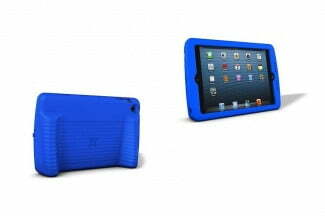 Microsuede on the inside keeps your iPad Mini pristine, and the tough plastic shell will protect it from bumps. If the dull grey or black doesn’t cut it for you then there’s always purple or teal. Based on Papernomad’s environmentally friendly sustainable designs, this sleeve is ideal for creatives. It looks like a paper package, but it’s actually crafted from paper and biopolymer layers, so it’s virtually impossible to rip or tear and it’s water resistant. Best of all you can customize it however you want because it’s easy to paint or draw on the outside. Wool felt cushions your tablet and there’s a hemp strap with a hidden magnet to keep it securely inside. This folio style case opens to reveal a full QWERTY keyboard. It’s fairly light and slim without sacrificing the responsive feel and travel you’d expect from a decent keyboard. There’s a tough frame to hold the iPad Mini in place and magnets ensure that it doesn’t pop open when it shouldn’t. You’ll also find some handy shortcut keys for things like copying and pasting. The exterior is also durable and water-repellant. It certainly isn’t cheap, but you have to acknowledge what a smart idea this case is. It effectively disguises your iPad Mini as a hardback book. The outside is genuine leather and you’ll find suede on the inside. You’ll also find a frame to hold your Mini securely and a kickstand so that you can angle it just the way you want. And it has dual zippers for easy access. That rigid spine, combined with the hard covers, provides decent protection and the disguise helps you to avoid attracting any unwelcome attention. For a slim, lightweight case that also offers unrivalled protection, the oddly named Frē for iPad Mini is unbeatable. The case fully seals your Apple tablet, so there’s no chance of dust or dirt making it through; in fact you can submerge it in water to a depth of 2 meters for up to an hour. It also offers military grade protection from drops and bumps. The touchscreen remains perfectly usable, the case even reduces reflective glare, and it enhances the sound. 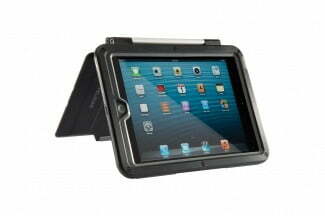 Spills, falls, and harsh environments – your iPad Mini will survive the lot with one of these. It’s tough to choose between genuine leather folio cases for the iPad Mini because there are loads of them and they all seem to double up as stands. 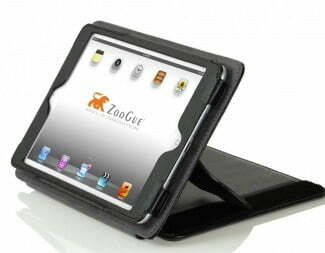 The USP of this one, from ZooGue, is the fact that the Velcro design allows you to set your tablet at the specific angle you want. It has a solid feel with good protection around the edges, the usual magnetic closure, and it triggers the automatic sleep/wake function. The only drawbacks are the inevitable Velcro fuzz and the fact that it is heavy. Here’s a fashionable blend of thick wool felt with high quality leather. 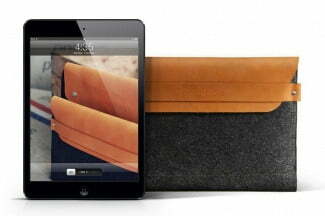 It’s easy to slide your iPad Mini in and out of this hand-crafted sleeve. A leather strap is held in place with rivets and it provides secure closure. It’s a simple combination of high quality materials and environmentally friendly design. 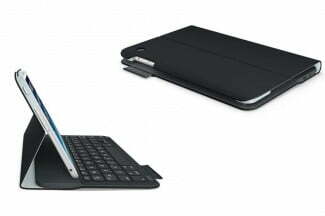 It will fit both models of iPad Mini and there’s room for accessories or documents alongside your tablet. This case is a winning combination of molded plastic and full-grain leather. It stands up decently for watching movies and there’s a folded position for comfortable typing. The plastic frame is rubberized and it fits the iPad mini perfectly with cutouts for easy access to the headphone and Lightning ports. 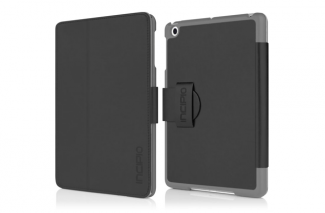 The Knomo Folio is a premium feeling case with an attractive design and simple embossed logo on the front. 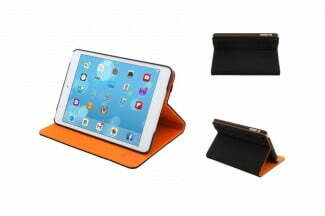 The iPad Mini Folio from Knomo comes in classic black, teaberry (pink), or cognac (brown). 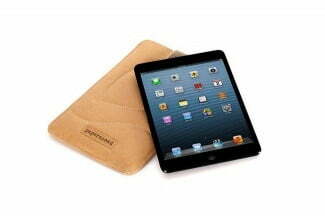 Anyone who travels a lot and wants to take their iPad Mini along will love this Waterfield iPad Mini Wallet. It has two pouches inside with protective inserts so you can store the tablet and accessories. It’s made from impact resistant nylon with a hard-wearing leather trim. There’s also a back pocket, a handy shoulder strap, and a reliable YKK self-locking zipper. You can get it in six different colors. 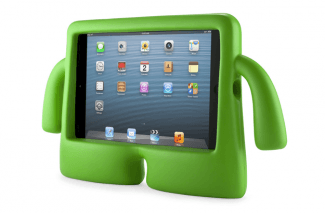 You can anthropomorphize your iPad Mini with the iGuy … y’know, for kids. It’s a brightly colored, squishy foam case with arms and legs. It’s very lightweight and the arms make good handles. It will also safeguard your Mini should your little angel drop it. You’re not going to want to take this out and about, and it’s not ideal for portrait mode, but if the kids are watching cartoons in the house, it’s perfect. 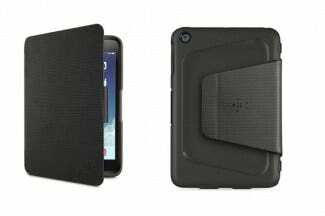 If you’ve ever felt like hugging your iPad Mini then this is the case for you. Here’s a nice slim, snap on case made from TPU. 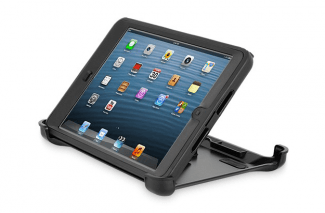 It offers basic protection without bulking up your iPad Mini too much. 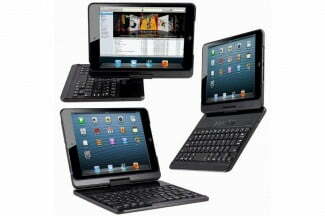 The rim ensures that you can lay your iPad Mini face down on a table and the screen won’t touch. It has a lined section on the back and a big Ballistic logo. 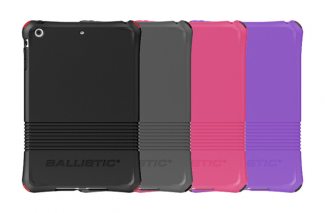 It comes in screaming hot pink or purple for people who want a loud case, but there’s also a charcoal grey or black option. All the varieties ship with four sets of corner bumpers in different colors to provide a bit of contrast. If you’re after a nice leather folio look then this case from Incipio should be right up your street. It has a rigid plextonium frame and a microsuede lining – let’s just say it’s tough on the outside and soft on the inside. The cover has a slot-in tab that holds it in place and it can fold in the middle to create a stand for a viewing angle and an inclined typing angle. It’s the first case in the video, but you’ll see a couple of other options from Incipio in there too. You get a distinctive look with this hand-crafted sleeve. It is a sage waxed duck canvas exterior with a felt interior and a leather patch for grip. 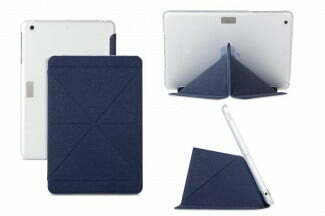 If you have the iPad Mini Smart Cover from Apple on your tablet it will actually still fit inside this sleeve. The sleeves are made by hand in San Francisco using traditional techniques and materials. That’s it for our iPad Mini cases roundup right now. 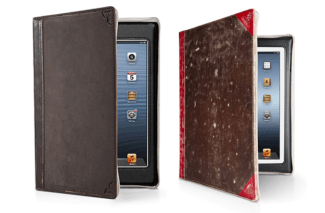 If you’d like to recommend an iPad Mini case or cover, then post a comment. Updated on 10-30-2014 by Simon Hill: Updated Grove case and added iPad Mini 3 cases from Nodus, Speck, Urban Armor Gear, Gumdrop, and Moshi. 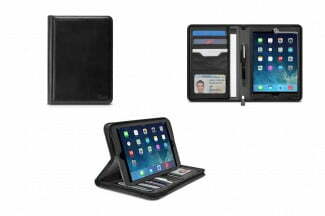 Updated on 10-20-2014 by Simon Hill: Added iPad Mini 3 cases from Apple, STM, iLuv, Knomo, and Belkin. Updated on 4-29-2014 by Simon Hill: Added iPad Mini 2 (Retina) cases from Moshi, Chil, Kensington, Trident, and Everything Tablet. 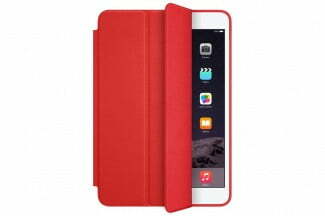 Updated on 1-31-2014: We’ve added a bunch of iPad Mini 2 (Retina) cases.